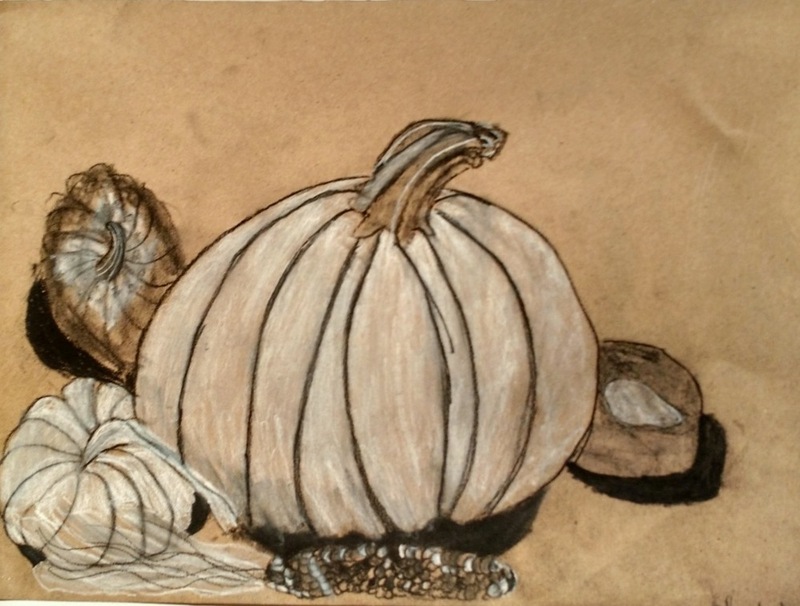 Art Start students learned to create different values of black, white and grey using charcoal pencils. 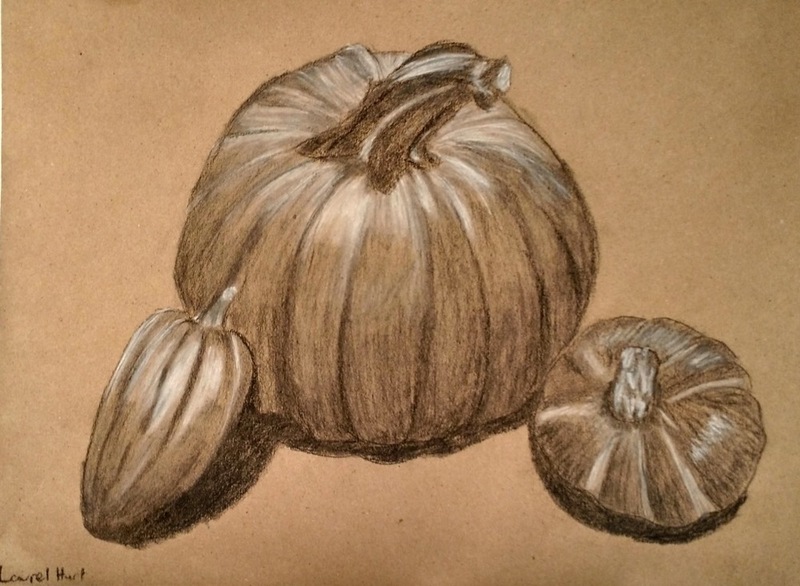 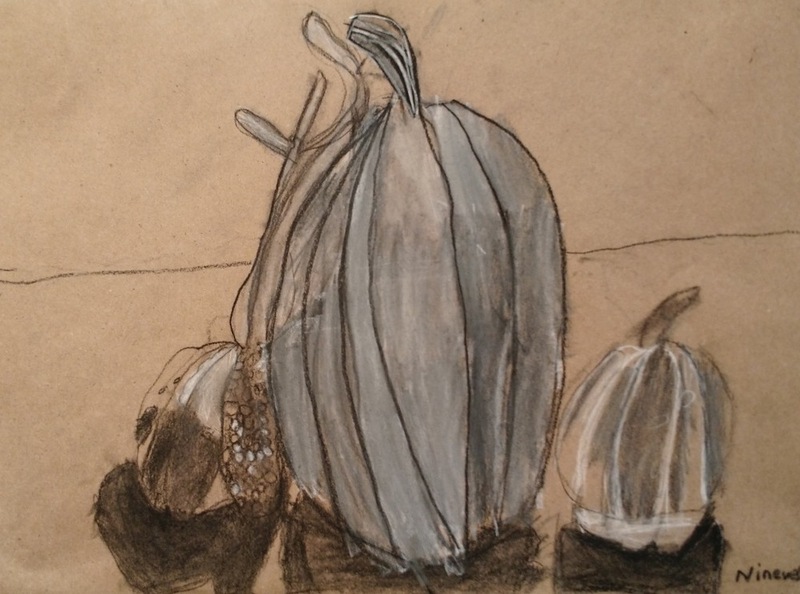 First they practiced drawing a single pumpkin realistically from observation (left), then shaded them with blending sticks, charcoal and erasers. 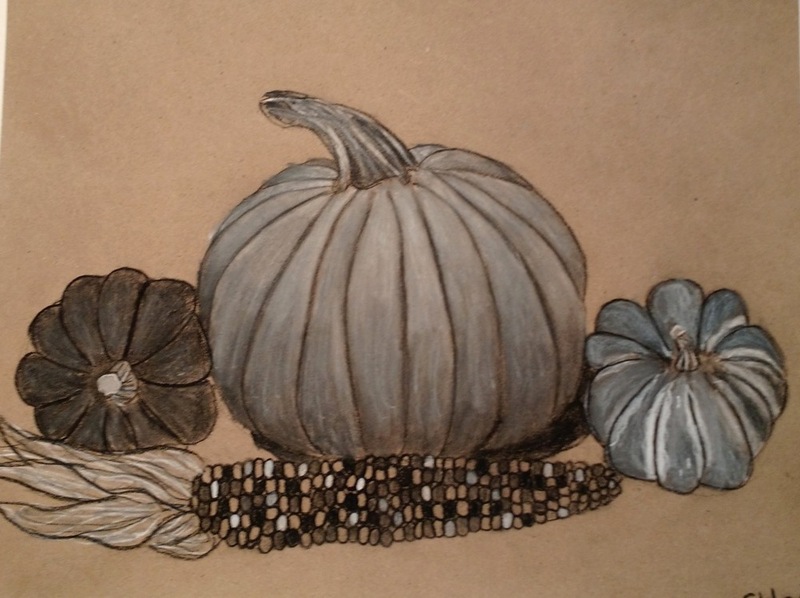 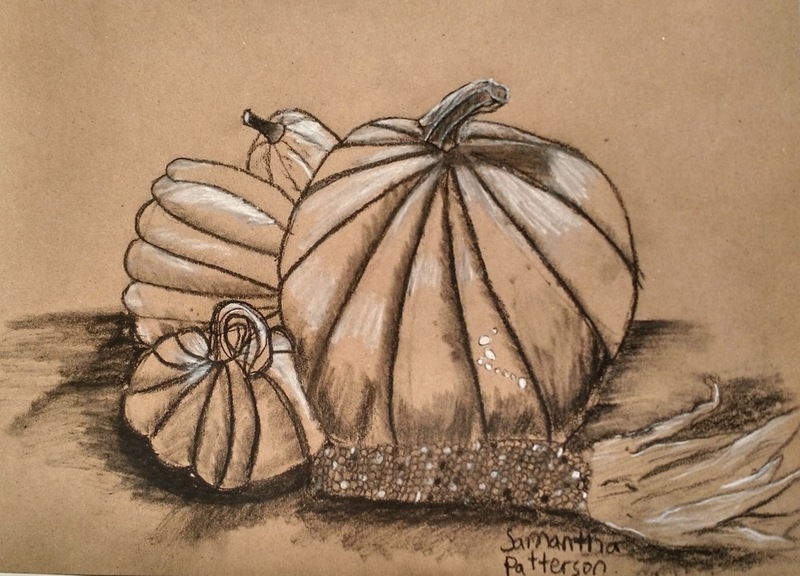 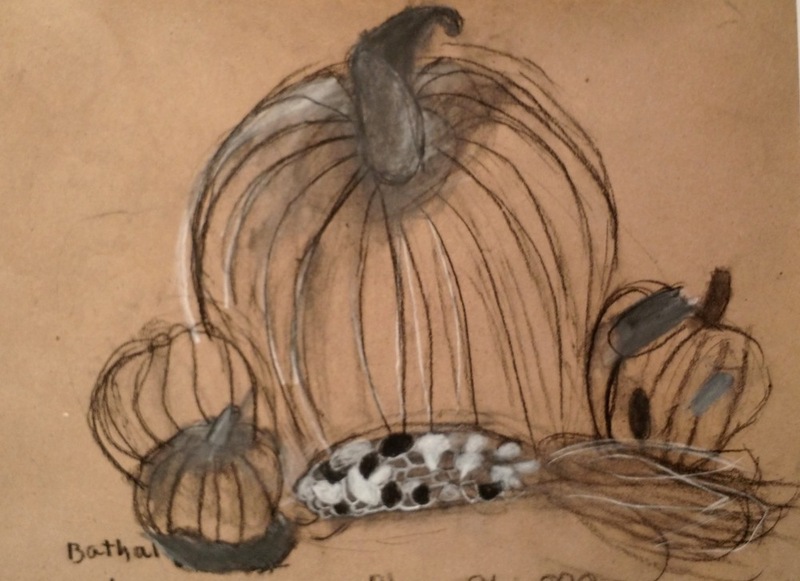 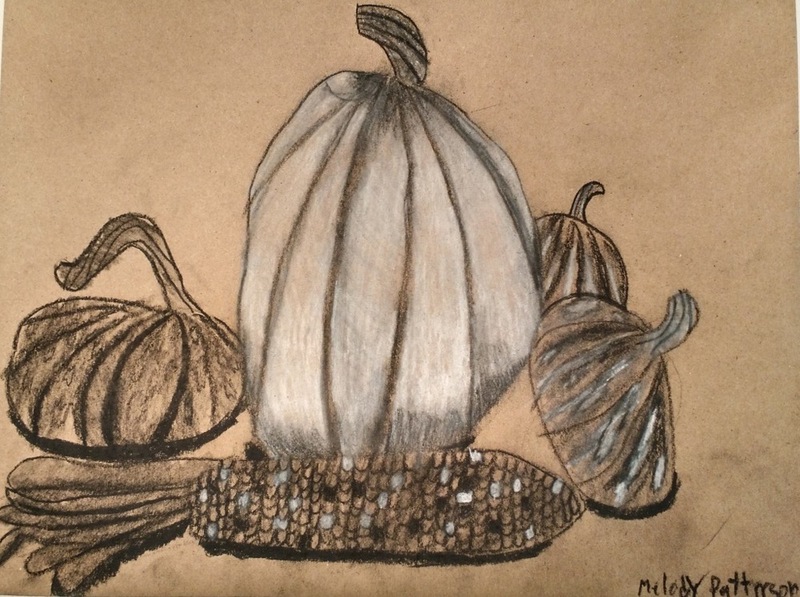 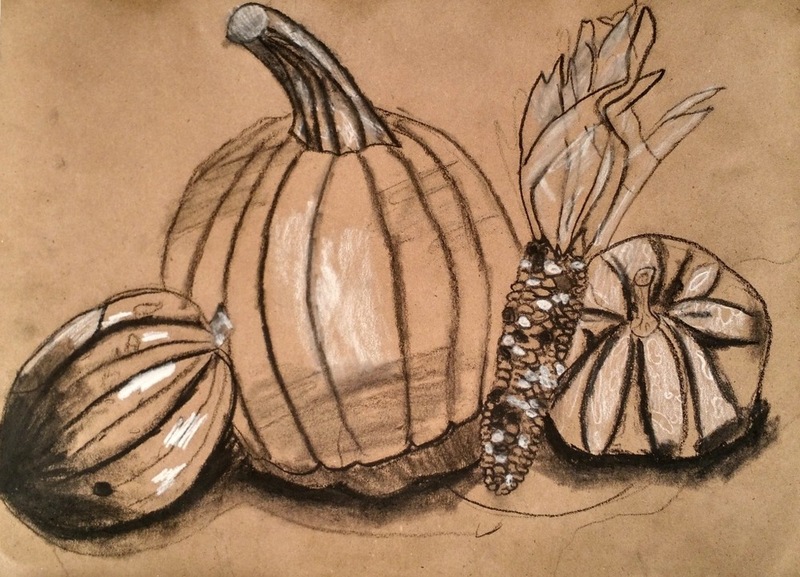 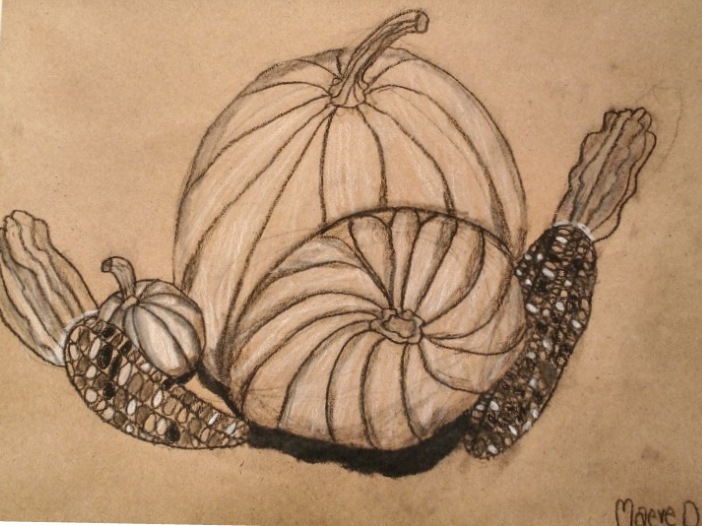 Next each class set up their own still life with various gourds, pumpkins and dried corn. 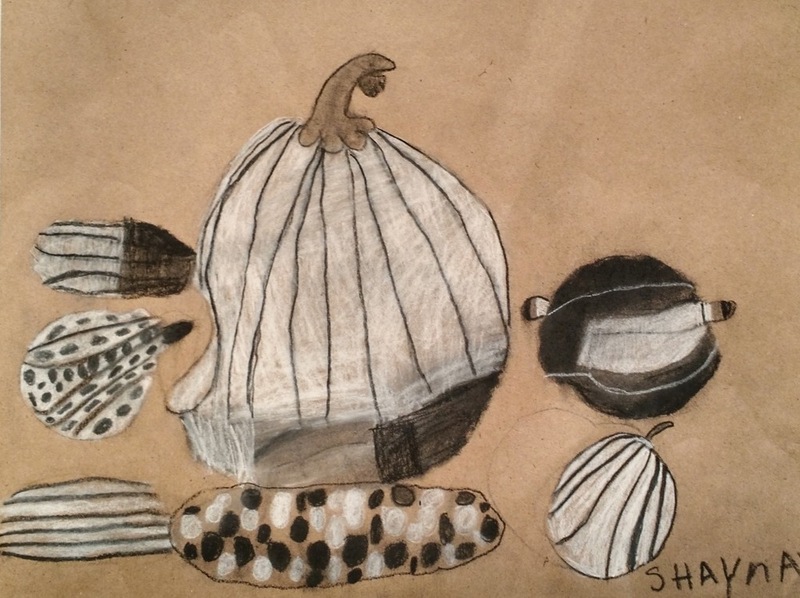 They drew the still life as accurately as possible, showing correct proportion, overlapping, shadows and highlights, and a range of values.